Justin Sink and Jennifer Epstein,Bloomberg• February 12, 2019 Trump and O’Rourke Duel Over Wall as Lawmakers Reach Agreement— Donald Trump and prospective Democratic challenger Beto O’Rourke took part in dueling rallies in Texas on Monday, with each using the president’s proposed border wall as an early proxy for the 2020 election.For Trump, the rally began less than an hour after negotiators in Washington said they had struck a tentative deal on border security that would avert a second government shutdown. 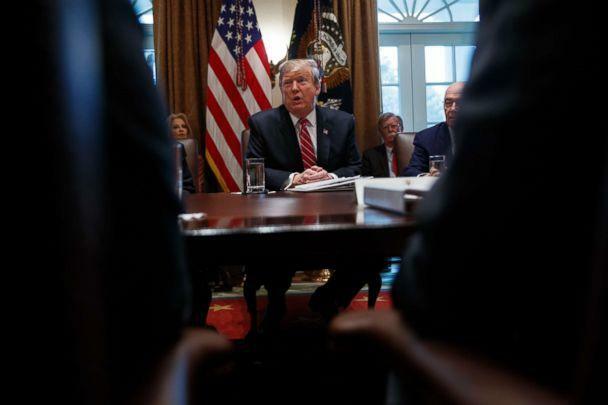 It’s unclear whether Trump will accept the deal, which offers far less funding for a barrier than he’s demanded.“I don’t know what they mean progress is being made,” Trump said. “Just so you know, we’re building the wall anyway.”For O’Rourke, who lost a close Senate contest in November to Republican incumbent Ted Cruz, the wall stood for all the reasons he’s weighing a 2020 bid.“We stand for America and we stand against walls,” O’Rourke said at the rally. “We know there is no bargain in which we can sacrifice some of our humanity to gain a little more security.”The rallies held just a few hundred yards from each other offered a dry run for O’Rourke ahead of what promises to be a bitter contest among Democrats to see who will get the chance to face Trump in November 2020. Trump boasted about the size of his crowd and tried to downplay O’Rourke’s popularity.“A young man who’s got very little going for himself — except he’s got a great first name — he challenged us,” Trump said at the rally. “That may be the end of his presidential bid.”An estimated 10,000 to 15,000 thousand people gathered at the event for O’Rourke, including iconic photographer Annie Leibovitz, who took pictures of O’Rourke before the gathering marched more than a mile to a venue within earshot of Trump’s rally.A crowd of thousands, with many people chanting “Beto! Beto!” and wearing shirts and hats encouraging O’Rourke to run against Trump, marched more than a mile to the counter-rally. As the masses swelled around O’Rourke, his wife and young children, several volunteers surrounded them by forming a human chain.O’Rourke has said he will decide whether to seek the Democratic presidential nomination by the end of the month.Trump came to El Paso — O’Rourke’s hometown — to make his case for building a wall along the U.S.-Mexico border. He has repeatedly claimed that crime rates dropped in El Paso after a barrier along the the border with Juarez was built a decade ago. But many locals — including El Paso’s Republican mayor — challenge that assertion, pointing to crime rates that dropped before construction even began.FBI crime data shows the city’s violent crime rates fell to a low in 2006, two years before construction began on the fence. Incidents of violent crime ticked up slightly during and after the installation.In a sign of how inflamed passions on the matter have become, a Trump supporter allegedly accosted members of the media covering the event. BBC reporters tweeted footage and descriptions of a cameraman being pushed by a man who got onto the reporters’ platform during the rally — which, like many other Trump events contained disparaging comments about the media. The president briefly paused his speech after the incident.Trump now faces a difficult choice on a border security deal: accept a spending agreement that rolls back elements of his immigration crackdown and provides only $1.375 billion of the $5.7 billion in wall funding he’s demanded; or risk plunging the federal government into another shutdown, likely to prove as politically harmful as the first.Trump’s refusal in December to back a bipartisan spending deal that didn’t fund construction of his wall led to a record 35-day shutdown that ended last month. The White House had given signals that he would go along with the lower spending levels. But the president has in the past reversed course without warning. Without a funding deal, nine federal departments and related agencies would shut down again on Feb. 15.“We probably have some good news but who knows,” Trump said, flanked by giant banners reading “Finish The Wall.”The Monday rally was Trump’s first since the midterm elections. The president and his team have always felt the president is most effective in his rollicking, barely-scripted rallies, and Texas offers a reliably sympathetic audience. It also provides the stage to highlight real-world examples of the human trafficking, drug smuggling, and violence that informs the president’s push for a wall.Trump also has repeatedly suggested he could declare a national emergency to draw on other government funds to begin construction of the wall. That approach has little public support, and has drawn criticism from both Democrats and Republicans.Talks broke off over the weekend after Democrats insisted on capping Immigration and Customs Enforcement detention beds to force the agency to focus on apprehending undocumented immigrants with criminal records. Immigration advocates have complained that Trump administration-directed ICE sweeps of workplaces and communities have resulted in many undocumented immigrants who have obeyed the law since entering the country being placed in deportation proceedings.Republicans have resisted a bed limit on grounds that criminals shouldn’t count toward the cap.“Let me state very clearly to those pushing this ridiculous and radical agenda,” Trump said Monday at the rally. “I will never sign a bill that forces the mass release of violent criminals.”(Updates with attack on journalists in 13th paragraph. )–With assistance from Erik Wasson and Alyza Sebenius.To contact the reporters on this story: Justin Sink in Washington at jsink1@bloomberg.net;Jennifer Epstein in Washington at jepstein32@bloomberg.netTo contact the editors responsible for this story: Alex Wayne at awayne3@bloomberg.net, Joshua Gallu, John Harney For more articles like this, please visit us at bloomberg.com ©2019 Bloomberg L.P.
Trump ‘not happy’ with congressional border deal but says shutdown unlikely JORDYN PHELPS and MARIAM KHAN,ABC News• February 12, 2019 Trump ‘not happy’ with congressional border deal but says shutdown unlikelyoriginally appeared on abcnews.go.comPresident Donald Trump said Tuesday he’s “not happy” with the deal announced by top congressional negotiators Monday night with just a small fraction of the money he wanted for a border barrier but he also said he did not think there would be another partial government shutdown.”I’m not happy about it. It’s not doing the trick, but I’m adding things to it. I will add whatever I have to add. It’s all going to happen. We are going to build a beautiful, big, strong wall that’s not going to let criminals and traffickers,” Trump said in his first reaction to the deal since learning about the details of the agreement struck last night. ABC News Politics @ABCPolitics President Trump on tentative deal reached by lawmakers to avert government shutdown: „Am I happy at first glance? I just got to see it. The answer is no … I’m not happy. But, am I happy with where we’re going? I’m thrilled” http://abcn.ws/2Dw71lR He didn’t say whether he’d sign or veto the deal if it were to pass Congress but did say he doesn’t think another shutdown will happen. If it does, he said. it “would be totally on the Democrats.”“We certainly don’t want to see a shutdown. But you will be hearing fairly soon. The bottom line is, on the wall, we are building a wall. And we are using methods other than this. In addition to this, we have a lot of things going,” Trump said. PHOTO: President Donald Trump speaks during a cabinet meeting at the White House, Feb. 12, 2019. (Evan Vucci/AP)On Capitol Hill Tuesday afternoon, Senate Majority Leader Mitch McConnell called the congressional deal a „good step in the right direction. I hope he’ll decide to sign it.””I think he’s got a pretty good deal here. I think he’s done just fine,” McConnell said. „I think everyone will say: ‘good work,'” Rep. Kay Granger, R-Texas, added. „Some people may think it’s a great deal. Some may feel differently. But we did it together,” she said. ABC News’ John Parkinson and Mary Bruce contributed to this report. He asked the crowd, „How would I look walking a dog on the White House lawn?” The crowd laughed loudly in response. Trump told thousands at a rally in El Paso, Texas, on Monday that he was told lawmakers are making progress in their bids to avert another shutdown. But he says he told his staff that he didn’t want to hear about it and that it was important to speak „to my people from Texas” first. He says, „Walls do not save lives, walls end lives,” citing the danger to asylum seekers who are rejected by the U.S. Protesters are chanting „Beto!” during breaks in O’Rourke’s speech. Cruz also says Texans welcome legal immigrants, but that they need to „stand in line” and „follow the rules.” The crowd roared in agreement. Protesters chanted „No wall!” and „Viva Beto!” as they proceeded. „Our staffs are just working out the details,” said House Appropriations Committee Chairwoman Nita Lowey, D-N.Y. She said the huge measure — which combines seven spending bills into one — measure would be publicly released as early as Tuesday afternoon. „I would hope that Sean Hannity and all the other people you mentioned aren’t running this government. 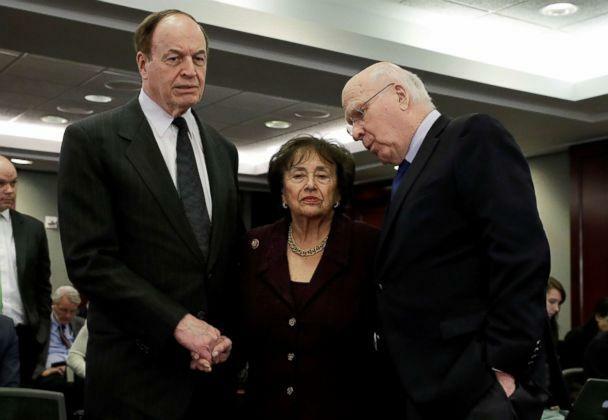 This was a bipartisan deal, Senate and House, Republican and Democrat,” top negotiator Rep. Nita Lowey, D-N.Y., said on CNN. „When we sat around the table and negotiated this deal, we didn’t call Sean Hannity, we didn’t call (Ann) Coulter.” Coulter is a conservative commentator. „Our objective is to determine whether the U.S. Air Force complied with the Launch Services New Entrant Certification Guide when certifying the launch system design for the Evolved Expendable Launch Vehicle-class SpaceX Falcon 9 and Falcon Heavy launch vehicles,” U.S. Department Of Defense Deputy Inspector General Michael Roark said in the memo. 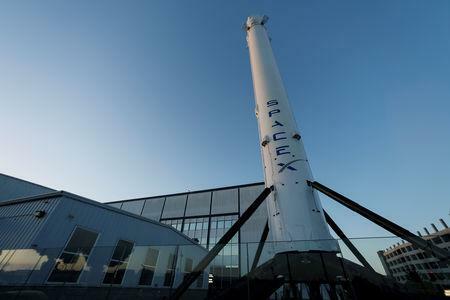 Musk’s privately held rocket company said last month it would reduce its workforce by about 10 percent of the company’s more than 6,000 employees, citing „extraordinarily difficult challenges ahead”.